every so often, date night rolls around. and no, i don't mean date night w/ josh. i mean date night w/ my girlfriends. 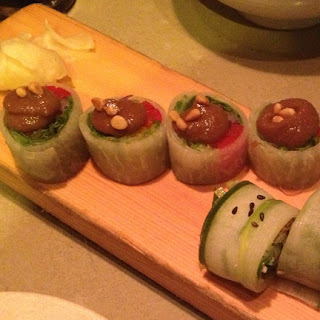 so when this happened, we know just the spot to hit : union sushi + barbeque bar in river north. "union combines the tempered art of japanese dining with a fresh, colorful & urban vibe. embracing an american warmth & personality, this playful juxtaposition reveals a restaurant that is welcoming, accommodating & stylish ... a true riff on what is expected or traditional - east or west." 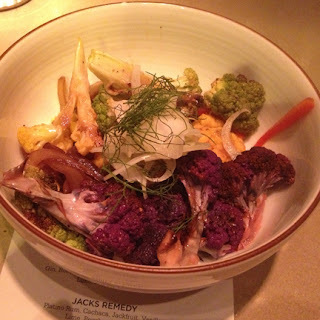 union is kind of a small plates / sharing / you know the drill type of place ... which of course i love, since i get to try so many different things. and per the usual, my gal pal & dining partner (hi, jessie!) is super cool and was willing to eat some vegan things! woop! everything's better when it's free, amirite? 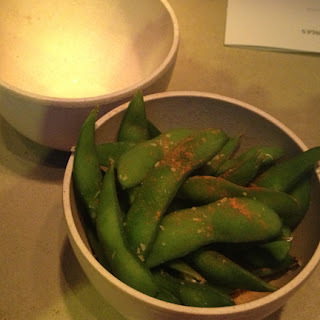 plus, the red curry powder was a nice twist from your basic edamame. something i certainly plan to replicate at home. 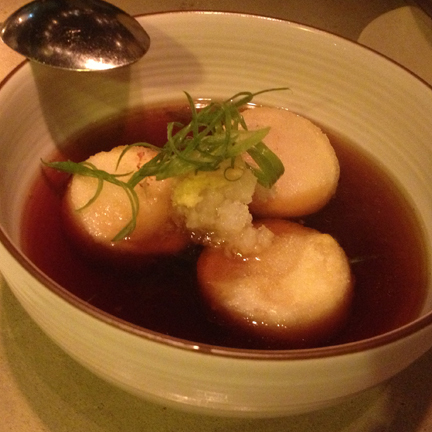 daikon, ginger, green onion in a vegetable broth. yum. so good. delicious. amazing. want to eat a big bowl of this everyday. fennel, balsamic carmelized onion, orange zest, red pepper & orange sesame vinaigrette. also quite tasty. the red pepper gave this salad the perfect amount of kick. lettuce, red & yellow bell peppers, green & red onion, toasted pine nuts & miso-balsamic. weird, but so good. the miso-balsamic on top was awesome. lettuce, cilantro, avocado. 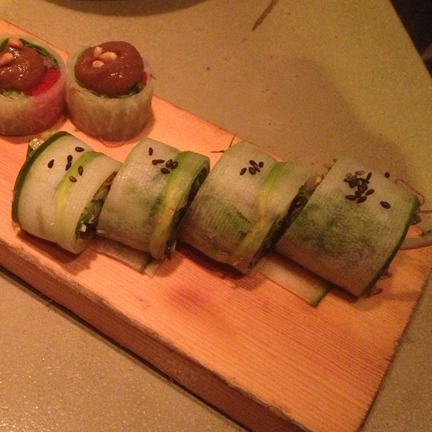 red onion, jalapeño, fried ginger, green onion, black sesame & sesame paste wrapped in cucumber. also great. i think i preferred this over the sonoma, just because the flavors were more on track with what you normally eat at an asian place. union sushi + barbeque bar is pretty top notch. lots of tasty vegan options = a+.